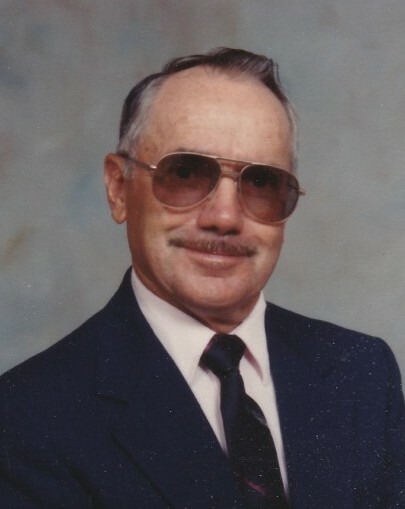 Pat Presher passed from this life January 12, 2019 in Oklahoma City at the age of 90. He was born March 17, 1928 in Ladysmith, Wisconsin to James and Ruth Presher. Pat grew up on a dairy farm in Ladysmith but left home at 16 and moved to Bruce, Wisconsin because Ladysmith didn't have a high school. He worked at a butcher shop in order to pay for his room and board and was the first in his family to graduate high school. He went on to work on soil and concrete testing for the Wisconsin Hydroelectric Dam. After High School he made plans to follow a friend to Texas for work. During this journey they were separated by traffic in OKC and Pat never made it to Texas. He made Oklahoma his forever home and married the love of his life, Irma Jean Musgrove, on January 18th, 1952. They were blessed with 66 years of a wonderful marriage. For 35 years he conducted quality control tests on soil, concrete, and asphalt for testing laboratories. He could look at wet cement and tell if it would pass the tests. Pat stepped into the rental property business when he purchased his first rental house in 1967. He loved buying and fixing up distressed houses. He continued his passion working with rental houses until he was no longer able to, and he passed his passion onto his grandson, Caleb. He was a member of Southgate Baptist Church in Moore for nearly 40 years where he loved his church, and church family. Pat was preceded in death by his parents, James Clifford Presher and Ruth Presher (Miller); sister, Lois Otto; and son-in-law, Terry Martin. Survivors include his loving wife of nearly 67 years, Irma Jean Presher (Musgrove); daughter, Deborah Martin of Moore, OK; grandchildren, Bethany Martin of Moore, OK and Caleb Martin of Oklahoma City, OK; and sister, Violet Pitts of Decatur, AL. Visitation for Pat is 6:00pm to 8:00pm, Monday, January 14, 2019 at Moore Funeral and Cremation. Services are 2:00pm, Tuesday, January 15, 2019 in the chapel of Moore Funeral and Cremation. Condolences may be shared at www.MooreFuneralCremation.com.